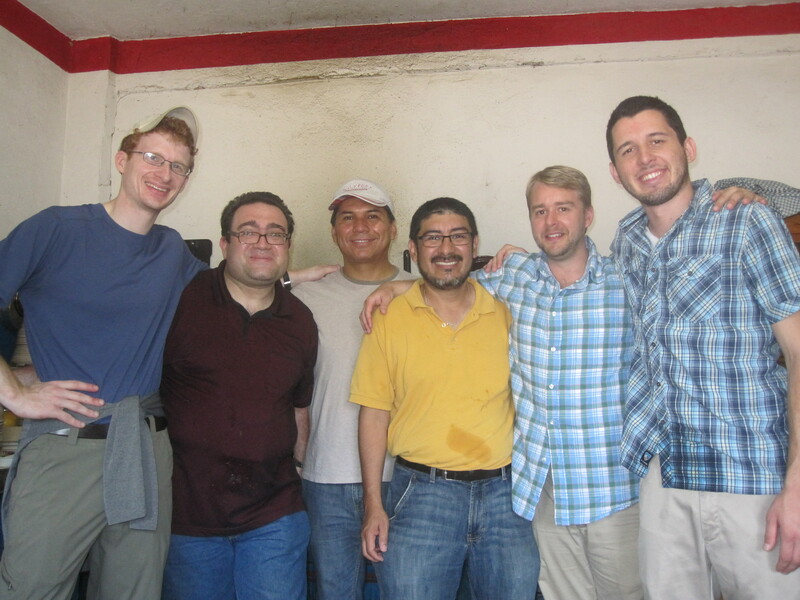 After we crossed the border into Mexico, we stayed at migrant shelters (albergues) in three small cities in the south: Tapachula, Arriaga, and Ixtepec. The shelter in Arriaga is called Hogar de la Misercordia. We arrived at night when shelters are the busiest and receive the most migrants. 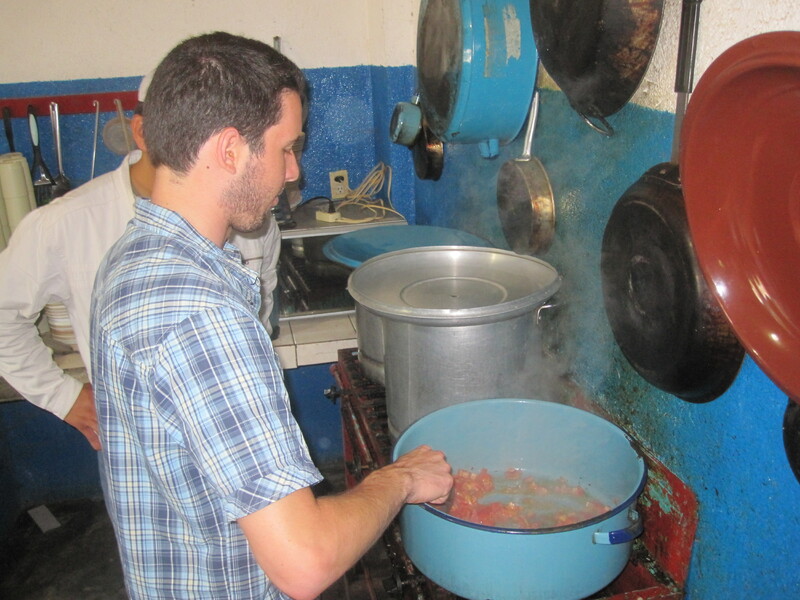 The next morning we volunteered to cook breakfast for the 90 migrants currently staying there. 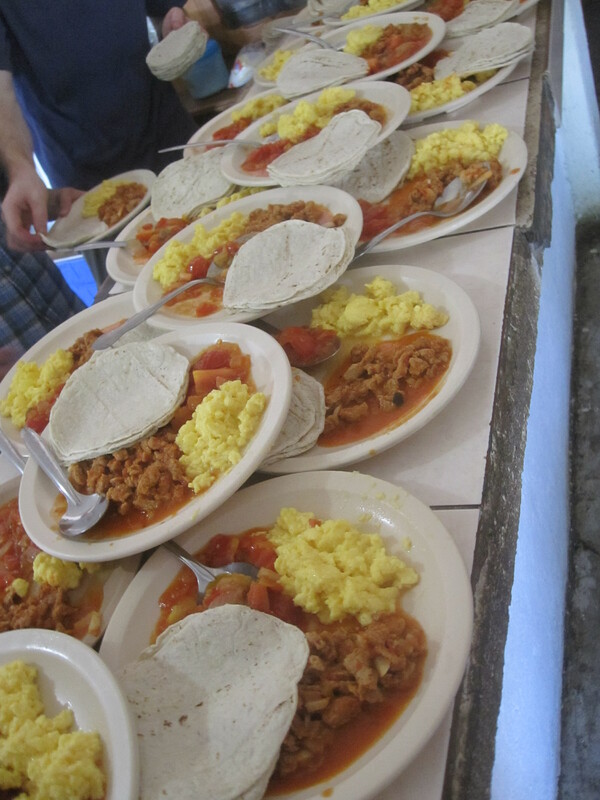 We were able to serve a filling breakfast of black beans, eggs, tortillas, and salsa to everyone. The great hunger of the migrants impressed us. Many came back for seconds, and we nearly ran out of food. Later that morning we celebrated Mass together. It was a beautiful liturgy presided by Ricardo Machuca. During the homily, Ricardo invited the migrants to offer testimonies of their experiences. It was moving to witness their faith and hope. Throughout the difficulties of their journey, they held strongly to the belief that God is with them and will continue to be, that God will fulfill the needs and desires of their hearts. It was evident that our Eucharist further confirmed this belief for them and for all of us present. That morning a hunger both physical and spiritual was satisfied. 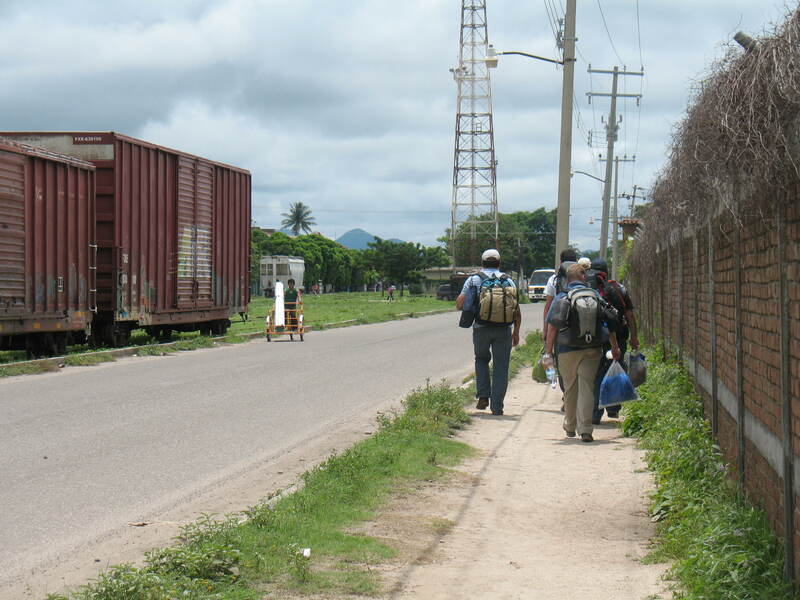 Después de cruzar la frontera con México, pasamos por varios albergues en tres pequeñas ciudades del sur de México: Tapachula y Arriaga en el estado de Chiapas e Ixtepec en el estado de Oaxaca. El albergue en Arriaga se llama “Hogar de la Misercordia.” Nosotros llegamos por la noche cuando los albergues están más ocupados recibiendo a un gran número de migrantes. La mañana siguiente nos ofrecimos como voluntarios para cocinar el desayuno a mas de 90 migrantes que pasaron allí la noche en espera del tren. Pudimos ofrecerles frijoles negros, huevo, tortillas y salsa a todos. El hambre de los migrantes nos impresionó y muchos regresaron por más, casi estuvimos a punto de quedarnos sin comida. Esa mañana, el hambre física y espiritual fueron saciadas.